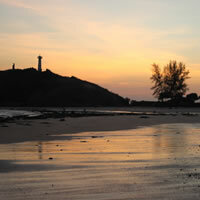 Beaches Ko Lanta - Lanta National Marine Park, south beach of Koh or Ko Lanta. 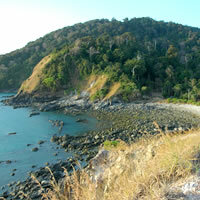 Koh Lanta National Park - Ko Lanta (Island)- Krabi - Thailand. 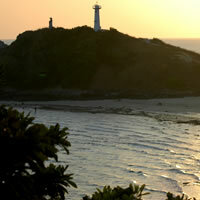 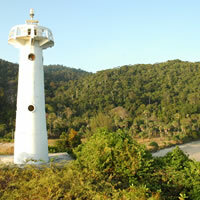 Situated at the southern tip of the island, at the end of a spectacular coastal drive is the National Marine Park. 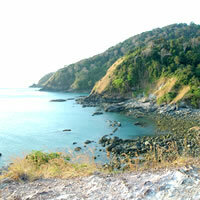 The road here from Klong Hin Beach narrows and has some quite sudden dips and rises, with occasional sharp curves. 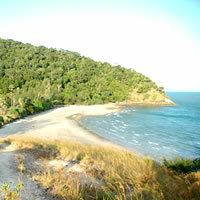 The park itself has picnic areas, toilets & showers and two nice beaches, Had Hin Ngam and Had Tanod. 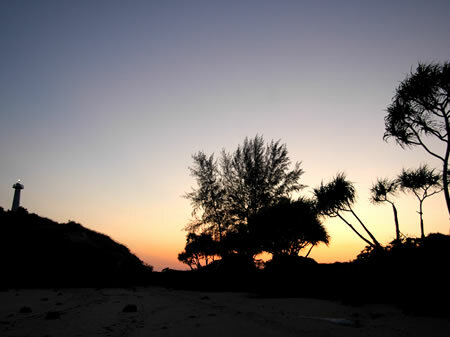 There is an interesting one hour walk through beautiful, unspoiled jungle, starting at the Park Headquarters and offering excellent nature-watching opportunities along the way. 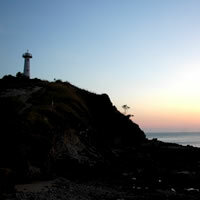 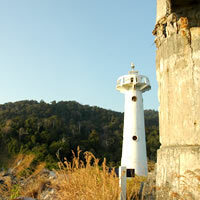 A small light house, well-known symbol of Ko Lanta stands on the southern point of the cliff-face here, and is a popular photo-shot due to its’ great panoramic view.. Take your own food for picnics - cold drinks are usually available however.